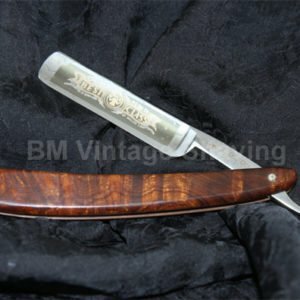 The Futur Razor is Merkurs most popular premium double edge safety razor. 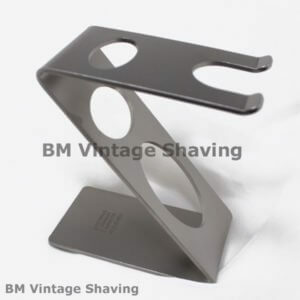 This safety razor adjust to 6 different positions that opens or closes the blade gap to alter shaving from very close to very comfortable. The head snaps off for easy cleaning and blade changing. 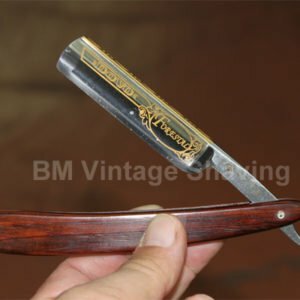 Uses standard double edge blades, one included to get you started. 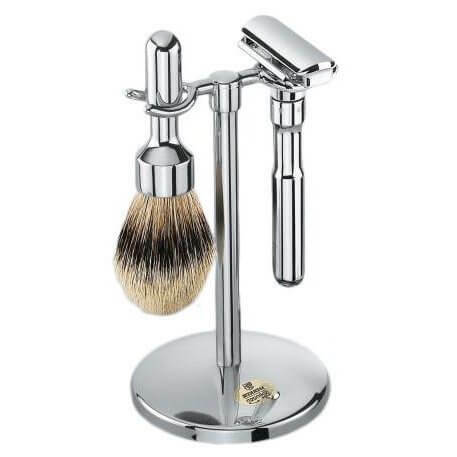 With the matching stand, this Merkur Futur 3-piece set will look great in any bathroom or better yet, bring style to your bathroom. This set comes polished chrome finish. The Futur Safety Razor and Shaving Brush are available as individual item also.